Do you like the style of antique or period rings? 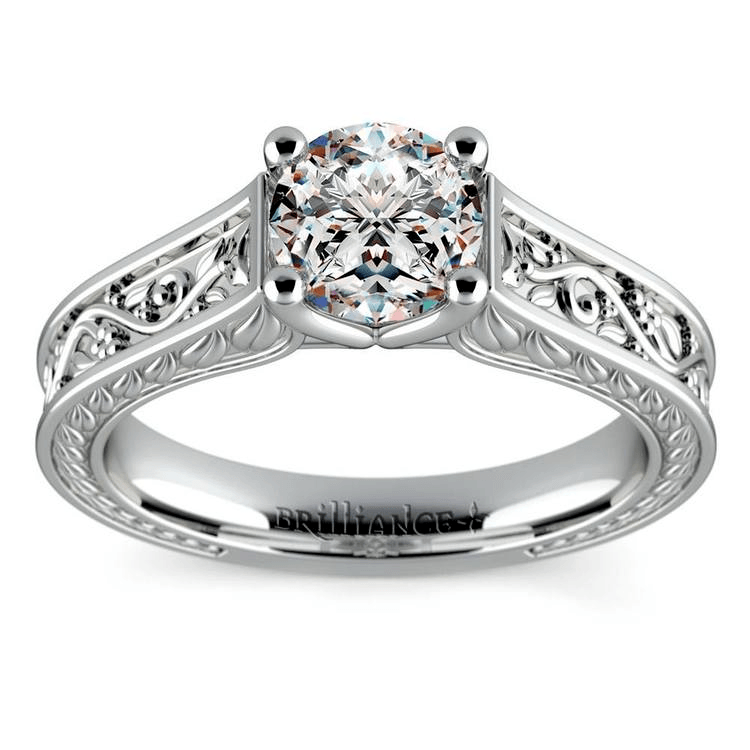 The styles of yore have their own unique flavors, and are admired by couples all over as potential engagement rings and wedding bands. Since many brides-to-be like to match the engagement ring to the wedding band, this means finding a set, or at least a pair that matches. Another popular style among newly engaged couples is white gold. It is less expensive than the classic metals used in the actual antique rings, but has the same shimmer as its more costly counterparts. So what do newly engaged couples need to know about buying a vintage white gold wedding ring set? Let’s find out! Vintage styles have different features depending on which era they came from. For some styles, it’s all about the stones and how they are placed on the ring, while other eras featured beautiful filigree and other intricate metalwork. Craftsmanship has always been key for vintage rings, especially in more modern eras. 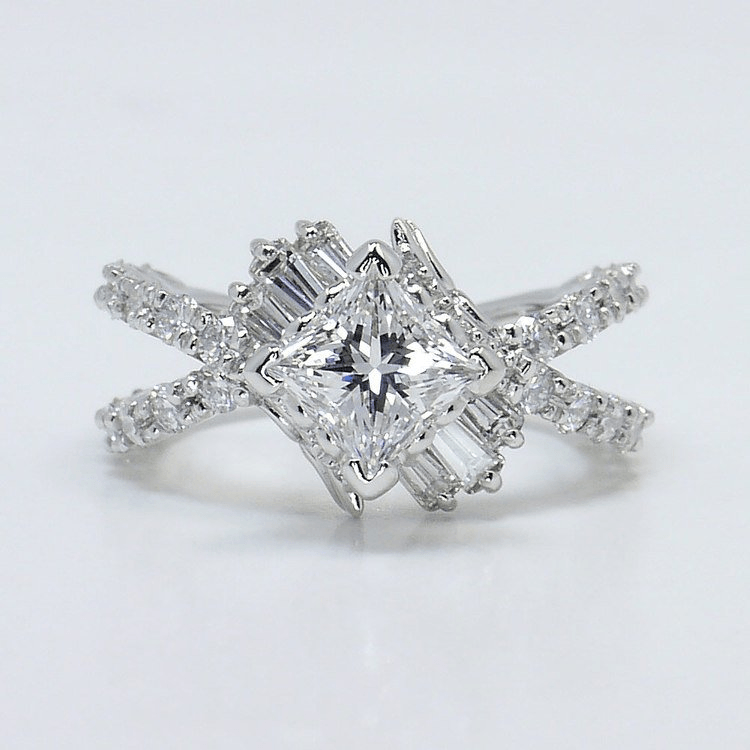 Many of the styles feature a variety of stones that either embellish or are accented by the diamonds in the setting, which is another quality that differs from modern convention. Vintage usually refers to items that are older than 50 years, but there’s far more to vintage rings than simply age. Each generation had its own conventions and looks associated with it. From the showy Georgian styles of the early 19th century, through the delicate Victorian and Edwardian looks and into the more modern Art Deco and Retro eras, history has so much to choose from in ring design! How Does White Gold Measure Up? With so many metals to choose from, finding a ring of the right price might just be a matter of picking a less expensive metal. This is why so many couples go for white gold. In the past, buying an expensive ring was a sign that the groom could afford to support the bride, but these days, many couples want something meaningful, even if it’s less expensive. White gold mixes pure gold, a very soft metal, with a harder metal such as nickel or palladium in order to both strengthen and bleach it. It also resembles platinum, but isn’t as costly. Finding a vintage wedding set takes a little time and energy. This is especially true if you plan on soldering the two rings together after the wedding, a fairly common practice for brides. Finding a ring, or even a style of ring for your jeweler to make, is simply a matter of taste and budget. There are many traditions associated with engagement and wedding rings, and this can help inform your decision, but ultimately the best way to find vintage or vintage-style rings is to talk to a reputable jeweler or antique dealer. Remember, these are rings that signify a lifetime of commitment, so you want to get it right! When looking for rings, you’ll want to consider your budget and also how the rings will look on your finger, both by themselves and together. Certain cuts also showcase the gem (especially diamonds) by allowing them to catch the light and shine, but some cuts might be more complex and thus more costly. Talking to a jeweler about these concerns will help you make an informed decision and find the best wedding set. If a vintage wedding set is what you have in mind, you don’t have to fret that you didn’t inherit one. 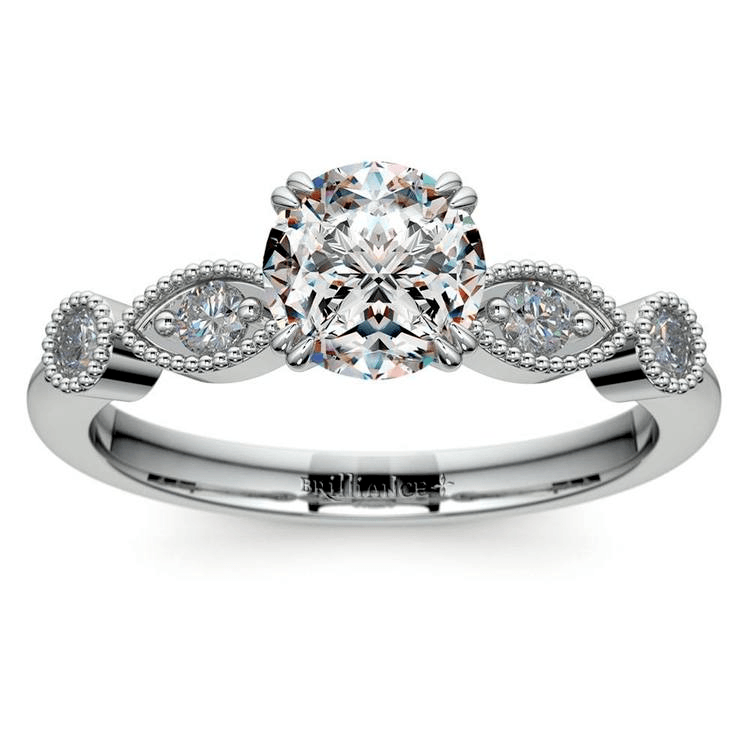 With a little self-reflection and research, you are sure to find the right white gold vintage wedding set. So show your spouse-to-be your love and go vintage!